I’ve mentioned that I’m no longer a member of my sorority recently, and it’s time to share why. I opened up about this already on my Instagram and based on the responses I received, I knew this was something I had to share. 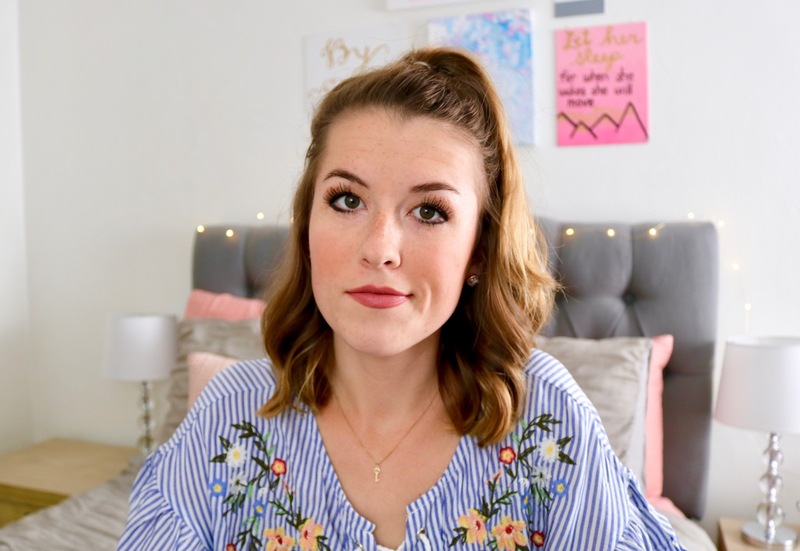 Being honest on my blog, YouTube, and Instagram is part of who I am, so today I’m doing just that. Before I get into the reasons I chose to leave my sorority (among making lots of other changes in my life this summer), I want to say that everyone’s story will be different. This is my story, my truth. I hope my experience is one of the few negative ones. I hope you don’t have to go through what I’ve gone through. But if you are struggling with something similar, I hope can be a reminder that it’s okay to go against the crowd and do what you know is right, even if it means you’ll walk alone. Overall, I still have a positive impression of sororities and I still highly recommend joining and being a part of the incredible community of women, if that’s what’s right for you. I’ve posted about my own sorority experience and even recruitment advice before. It’s not like it didn’t happen. It was right for me for two years. Things just didn’t work out in the end. If you take nothing else away from here, let it be this: If you are so unhappy and so stressed beyond what’s healthy, in your job, sorority, major, relationship, whatever, I hope you can be BOLD and BRAVE enough to stand up for yourself and give yourself the freedom to do what’s right for you. It’s okay to make yourself (and your health and happiness) a priority. Last semester, my stress was way past “normal”. I wanted to discuss the difference between positive and negative stress to clarify that I wasn’t just “stressed out”. I was in a cycle of distress (by the true definition of what that is) for months. “Positive” (eustress) stress is normal, and good for us, even. It keeps us motivated and working efficiently. Things like starting a new job, graduating college, or studying for a big test are all things that should elicit a normal level of stress. Distress, or negative stress, starts to work against us. It isn’t healthy to experience negative stress all the time. When our body is in distress, it triggers the fight or flight response. With everything I went through last semester (I won’t get into all the little details), my body began reacting to just about anything and everything with this response. What I learned is that in this cycle, our bodies can interpret “non-threatening” things (like studying for a test) as equivalent to something we do need that kick of adrenaline for (like running from a bear, for the sake of an example). You don’t really need a body full of adrenaline to study for a test. In fact, it’s difficult to focus when your body is in full-alarm-mode. It takes a long time for our body to calm down again from this fear response, especially when there’s no real “safe” trigger to reverse the process. It’s not healthy or sustainable to stay in this cycle of distress, where your body interprets “normal” things as truly dangerous. I couldn’t stay in that cycle, and I had to do a lot of things over the past few months to break it. Sometimes, you have to do what’s best for you. Like I said here and in the video, I won’t get into every detail about what happened during this time, but I finally had to give myself the grace to make myself and my health priorities. It was really, really difficult for me to admit I couldn’t deal with everything on my own anymore. If you’re at that point, I hope you can also be brave enough to admit when you need help and strong enough to realize you don’t have to do this on your own. I couldn’t continue to give my all to everything I had going on. I’m an all-or-nothing person. When I’m in, I’m all-in. I couldn’t give 100% to everything I was doing and still be the happy, normal Kristen my friends were used to. I ran myself to the ground and it was hard to not be in control. I’m not the type of only show up halfway, and I had to re-prioritize everything on my plate so it was a manageable load for me to handle. My identity is not defined by membership in a sorority. Neither is yours. And the fear of what others will think of you shouldn’t be what keeps you where you are (be it your sorority, job, major, relationship, etc.). I was in a place of very unhealthy stress and something (actually, lots of things) had to change. Leaving my sorority was one of them. I hope my story can be an outlier, but I also hope it can be a source of encouragement. If you’re struggling, it doesn’t have to stay that way. I still recommend joining and being in a sorority if that’s what’s right for you. Ultimately, I wish you nothing but the best and I hope you’ll choose the same for yourself. Thank you for your honesty and vulnerability, Kristen! You are so right that our identities don’t rest in our sororities, clubs, majors, etc. and that at the end of the day we need to do what is best for ourselves to keep us happy and healthy. I hope you are feeling in a better place now, and I applaud you for taking the steps that you felt were best for yourself, even if it might have been a hard choice. We’ve all had to make hard choices before but you provided us with a message of honesty and positivity that is so important! Good luck with the start of your new semester! I also left my sorority for very similar reasons. I was on the E Board, and everyone was so shocked, but I truly couldn’t handle one more second of the stress and expectations. I applaud you for writing this post. I always wanted to write about it, but am fearful, especially with how I was treated after I left. Kudos to you girl! Love your post! Goodness, Mallory, we’re living the same life!! I was on e-board as well and was inspired to write this for those same reasons. I’m glad you enjoyed this, thanks for your comment! So sorry to hear girl! Always do what is best for you though! Thank you for sharing your story! I wasn’t in a sorority but I was in an honors program and eventually left for some of the same reasons you mentioned, specifically too much stress. I’m glad you were able to do what was best for you! I read your post shortly after and wow, I feel like we really went through the same thing! Always appreciate your kind comments, Lauren! Kristen, thank you for being so honest and raw. I love how respectful you were in this video, not bashing anyone, and being incredibly graceful. Thank you SO much for sharing your story, girl! I always love when you make a new post! You are so sweet, Ashley! Thank you so much for your kind works. It was difficult to do it that way but I really tried, so I’m glad that’s how it came off!